Metaphors combine beauty with a call for a better life. 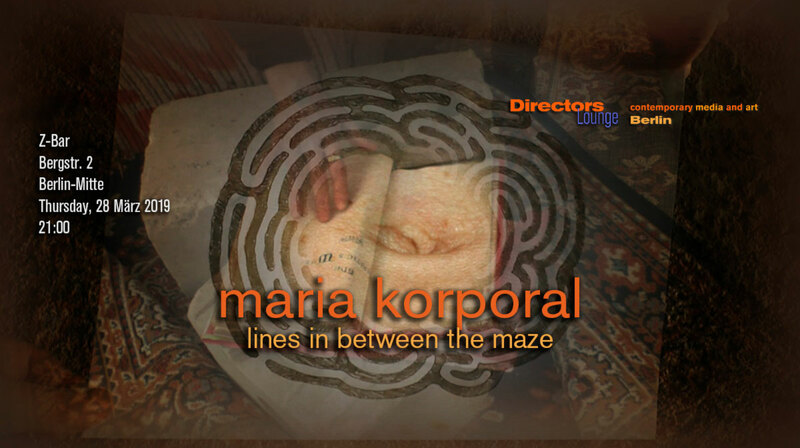 The Berlin artist Maria Korporal studied in the Netherlands and was working and living in Italy until 2013. Her videos, installations and performances show a strong technical affinity, while at the same time, the content of her works often criticizes the Western and economically oriented civilization. Her films are hybrid combinations of recorded video footage, animated text and digital animations from drawings and photographs. Often inspired by lyrics, they could be read as visual poetry or video aphorisms. 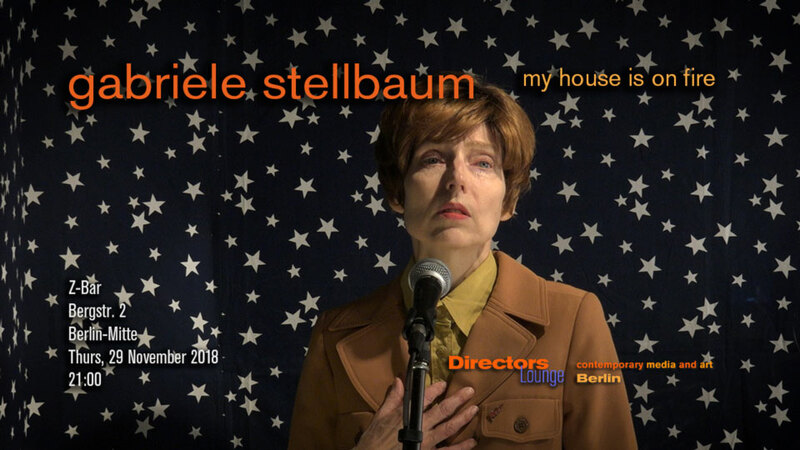 Gabriele Stellbaum creates art films that are performance and story-based at the same time. It is the second time, the artist presents her work at Directors Lounge. Coming from sculpture, she turned to light projections and time-based multi-channel slide projects and finally to video. The program presents a number of very new and more recent works that she created in Berlin. Observations through the camera combined in different ways create new realities. 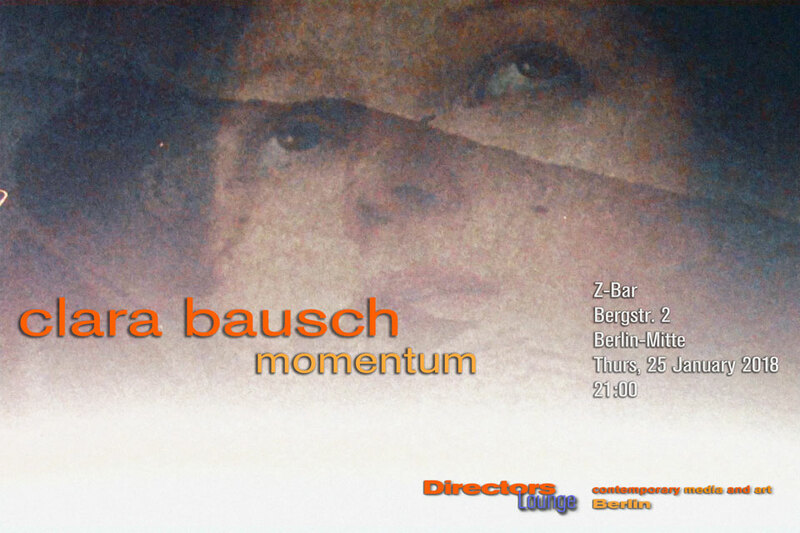 Clara Bausch, who is born in Berlin and lives here as artist, strictly works with analogue images in her films, installations and photography. She studied Fine Arts at UdK Berlin and is co-founder of Labor Berlin. It is the ordinary, simple things in life that capture her attention. And it is the combinations of impressions, occurrences and images that create reality. The new realities that Clara Bausch creates in her art work are by no means out of this world. Marissa Rae Niederhauser, dancer, artist and filmmaker from Seattle, United States, lives in Berlin for two years, now. Her films vary between radical body expressions, and transcending body-nature relations, the complications of desire, and the search for love while counteracting the (male) role expectations. 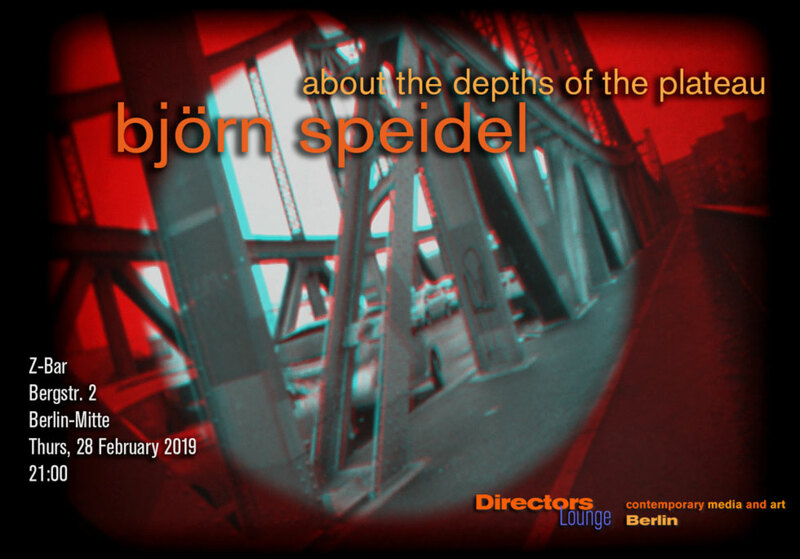 Berlin's cultural scene would not be the same, if filmmaker Dagie Brundert was not there. The artist started off in the 90's with some female colleagues as FBI, Freie Berliner Ischen. With ironic and unconventional films they challenged established and artsy art forms, skewed films spiced up with resonances of Camp and Beat, as it reverberated in some young circles in the first decade after the breakdown of the wall. Since then, Brundert stuck to her guns of Super-8 filmmaking with admirable creative productivity. She records everyday occurrences, the obvious things on sight and the things offside, however always dispersing a positive message. The artist, musician and composer Thanos Chrysakis was born in Athens. He lived for sixteen years in London until he moved to Belarus in 2015. He is a trained musician who performs his music internationally in festivals, in concert halls and alternative places. He always had a strong connection with images and thus has created his own videos, or has found people for sound/image collaborations. 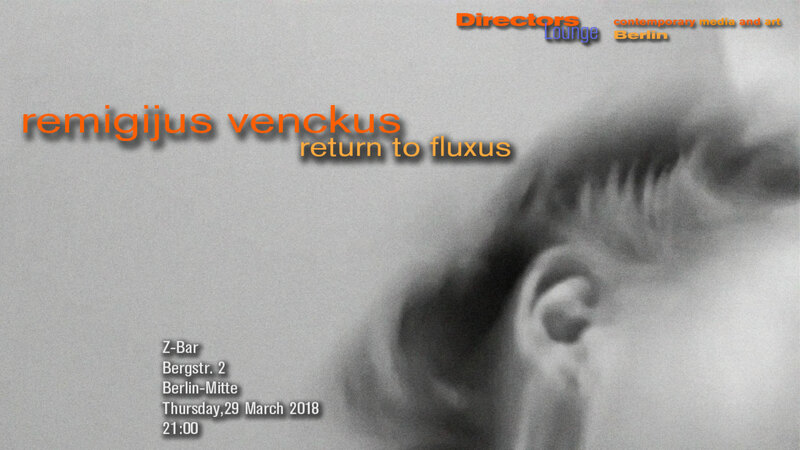 Since 2007 he operates the record-label 'Aural Terrains' focusing in electroacoustics, composed and improvised music.